HARDtalk celebrates twenty years of interviews with an edition in front of an audience at the BBC Radio Theatre in London. 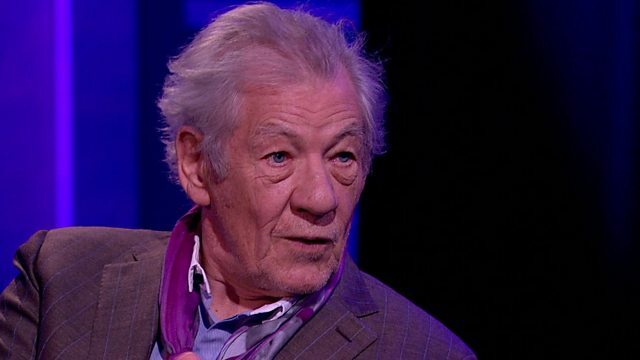 Stephen Sackur talks to actor Sir Ian McKellen. HARDtalk celebrates twenty years of interviews with a special edition of the programme in front of an audience at the BBC Radio Theatre in London. Stephen Sackur's guest for this birthday show is Sir Ian McKellen. Whether you think of him as Richard III or Gandalf, he's won hearts and accolades around the world - not just for five decades of work on stage and screen, but also for his passionate public advocacy, particularly on the issue of gay rights.